Deciding on restaurant promotional items isn’t easy. In order to reach a larger audience, you have to choose items that will best communicate the kind of restaurant you want to be. Selling t-shirts to your customers is a great way to build a loyal community around your brand. The more people you have walking around wearing branded shirts, the more awareness you create for your restaurant. This is a form of advertising. The volume of increased sales you’ll likely receive is worth the cost of printing shirts. Like shirts, hats are a great way to create low-cost advertising. If you design a hat that is unique and stylish, your customers will be wearing your brand all over town! It also helps if your kitchen staff wears the same branded hat. The hats can double as a practical uniform and promotional strategy. Keychains and lanyards are yet another way to spread awareness of your restaurant’s brand at a low cost. Many people use lanyards and keychains for their house keys and car keys. They’re an opportunity for easy advertising that not many brands capitalize on. These are perhaps some of the most important restaurant promotional items. The drinks you serve in your restaurant should be in glasses and cups that are embellished with your logo or brand name. It’s crucial to employ this tactic to cultivate brand recognition. If a customer likes the drink they ordered, they’ll associate the drink with the brand on the cup or glass. Also, have the branded glasses for sale so customers can remember the drink they had at your restaurant. Glasses and cups are useful to customers and might be something they would buy anyway. To take it a step further, nothing goes better with branded glassware than branded coasters. What’s in a napkin? It’s just something that will get dirty and thrown away, right? Technically, yes. But they are also powerful promotional tools. Purchasing customized napkins is another way you can put your brand’s logo in front of your customers. You want your customers to associate their pleasant eating or drinking experience with the visuals in your restaurant. 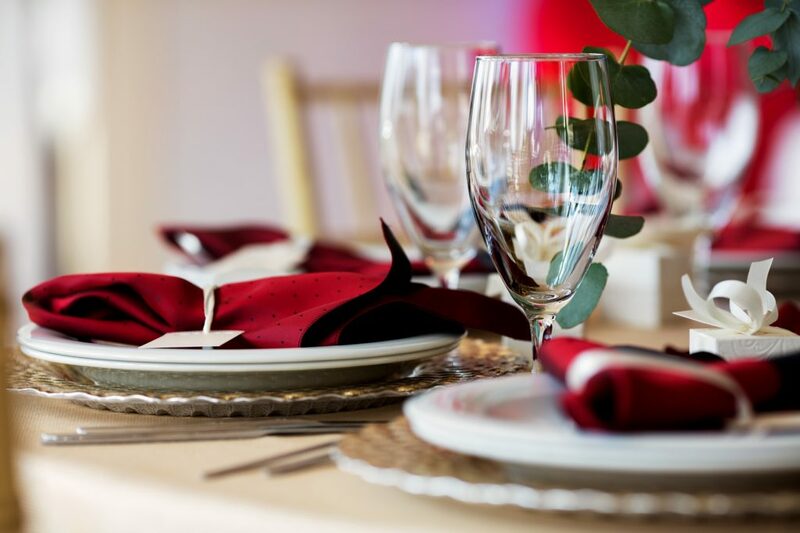 When the food and decor work together, branded items ensure that the experience will stay with your customers. In the restaurant business, brand recognition is vital if you aim to stand out from the competition. If a patron likes your food and drinks, you want him or her to associate that feeling of satisfaction with your brand. Your brand and prevailing aesthetic should be displayed all over your restaurant, from your decorations to your matchboxes. Promotional items are the best way to grow a small, local business to a nationally recognized brand. By following these tips, you can make the right decisions when promoting your business. Need more tips on how to use promotional products to grow your business? Check out our blog!